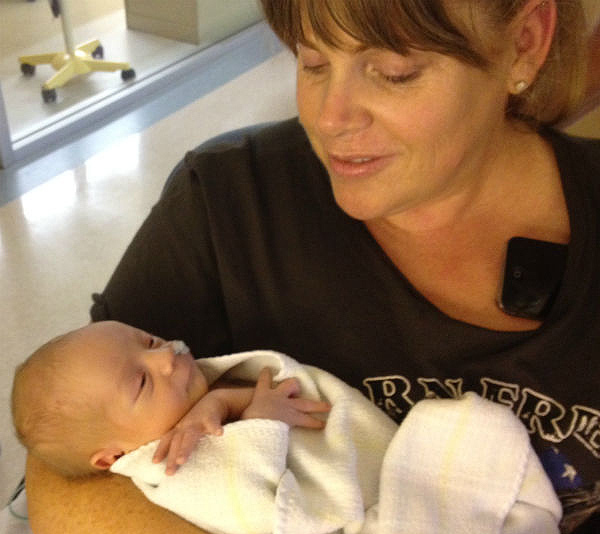 It took a brush with her own mortality to put Natalie Quirk on the path to single motherhood. At 35, she was a successful businesswoman who’d had a couple of semi-serious relationships that just hadn’t worked out. But she knew she eventually wanted to be a mother. She consulted a fertility specialist to consider her options but tests indicated she still had time on her side, so she “went back to normal life”. But in 2012, a health jolt changed everything. “I was initially diagnosed with melanoma and I had a very small lesion removed, which turned out to be a stage two melanoma,” she says. After that scare, she decided a baby couldn’t wait any longer. “When faced with your own mortality you really think about what you want. I’d had quite a successful career until that point and had money and a nice lifestyle and travelled and bought designer clothes and had a wonderful, superficial life with all these fabulous things, but thought, ‘I think there’s a little bit more to this’,” she says. Almost 19 months ago, she welcomed baby Ryan. But amid her joy at being a mother, she was soon to suffer another health blow. In July, she was diagnosed with stage three melanoma and had surgery to remove nodes in her neck. Now doctors are monitoring a suspicious-looking mark on the right side of her brain. She will have more tests this month for a prognosis. “In those quiet times I think to myself, do I have a brain tumour? And I think no, I don’t, because I can’t comprehend having one. I am so glad I have Ryan because just makes you need to get on with things,” she says. 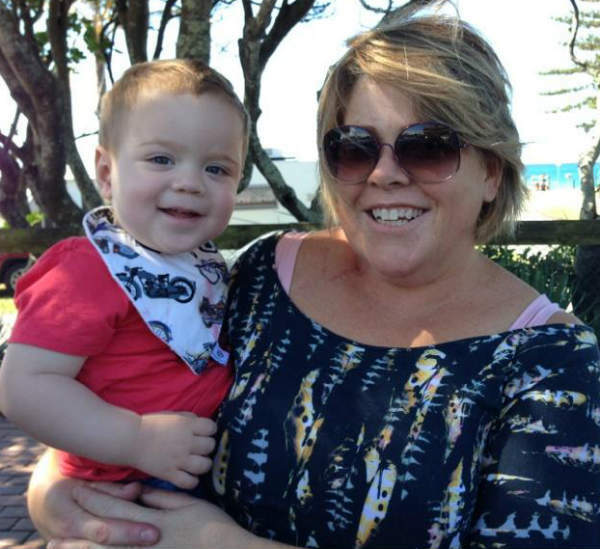 As well as being a single parent and battling this new health worry, Natalie, 42, drives a three-hour round trip four days a week from her home in northern New South Wales to her job as a project manager for the National Broadband Network in Brisbane. With so much on her plate, how does she manage it all? Ryan goes to family day care three days a week and has one day with my mum while I’m at work. I’m up around 5am to do some exercise, pack his lunch and bag for day care and try to have a shower before he wakes up. Sometimes we are a well-oiled machine getting out of the house, but other days it can be tears and tantrums. It really depends on who has had a decent sleep, the nine planets aligning, etcetera. I really try to keep calm and not rush him out of the house in the mornings, it seems to avoid toddler meltdowns. We leave by 7-7.15am – it takes me the entire time from 5am until then to be ready and go. I cook meals on the weekend and freeze for Ryan, we have set daycare clothes, I organise the bag each night before (eg nappies, change of clothes). That all seems to help both of us stay sane and calm(ish) most mornings. So many things. Ryan is a bit hit and miss with eating. I end up doing the 10 different things for him to eat if he is baulking at his meal. Pre-baby I would not have understood why you would do that. We did get into a habit of him sleeping with me for a while (he suffered croup on and off for months). What do you wish you’d been told before having Ryan? You will never have any extra money again! Save loads of money, and then more. What’s the best advice you were given about having a child? Enjoy the time they are newborns as it goes so quick. I took loads of photos and made a point of reminding myself each day to stop and enjoy this time, write little milestones down, write down how I felt. It was such an emotional time as Ryan had been born four weeks premmie and being a first-time mum, I’m glad I took that approach. The same advice I was given about the newborn time and to save more money that you think you will need, you will want that extra time at home with your bub without the financial pressure to return to work. In addition, although less important, don’t overcapitalise on baby paraphernalia – take the used things from friends and acquaintances – particularly baths, bouncers, swings, Bumbos, etcetera. They grow so quickly in and out of these things, it seems a bit of a waste to buy them to use for such a short period. 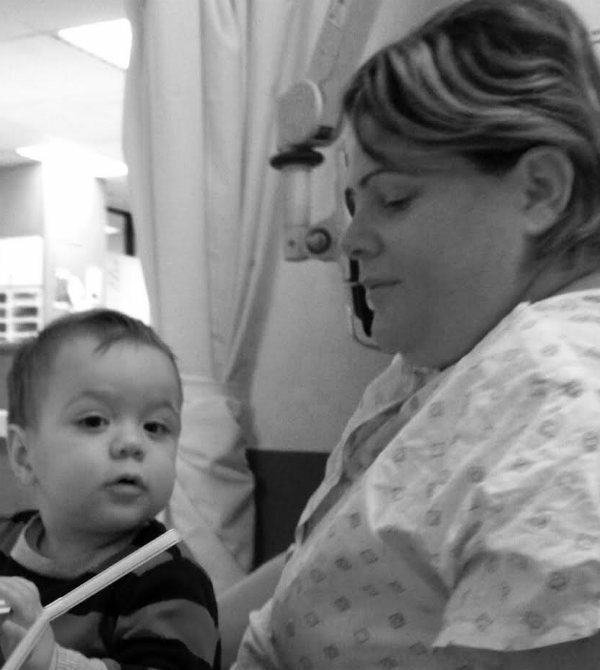 Great help – my mum is an awesome help with my son. I also have a couple of girls who share the daycare pick-ups and bring Ryan home to feed and bath and put to bed. My godmother and my aunts have been a huge help too. I’ve had a couple of girlfriends who have just been amazing to Ryan and I, from being in the birthing room to doing the pick-up one day each week for me. 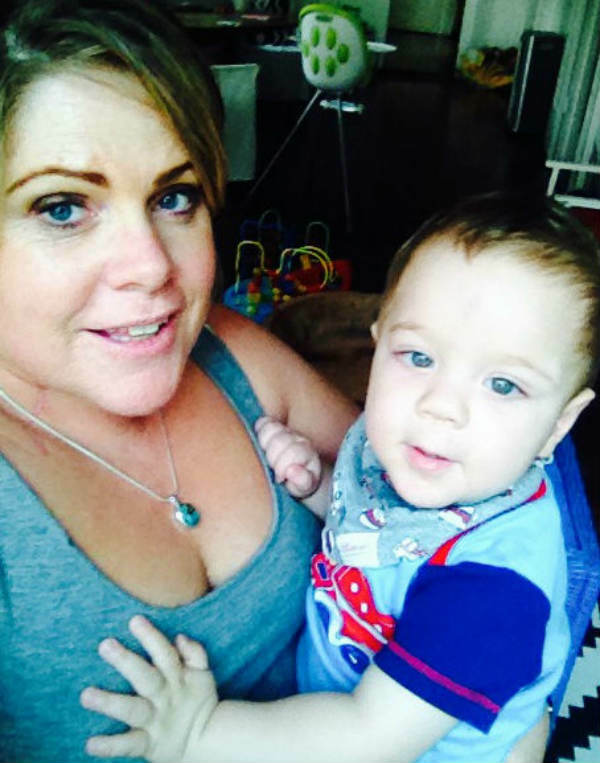 Mothers’ group – Ryan was five weeks old, we were struggling with breastfeeding, sleeping, no routine and I had no idea. We were encouraged to join a group and I never looked back, these girls have become some of my dearest friends. It was so reassuring to meet others in my situation. I also see a counsellor, but that is mainly as a coping mechanism for the melanoma prognosis. Something clicked for me when I had my son; my perspective changed and I really understood there is more than long hours in the office and working weekends. When I’m at work, I am in the game but once I get home I am Mum. I’m pretty impressed I learned that one so quickly! Loads of love. I tell my son I love him all the time, but I am also firm. I don’t sweat the small stuff but I am pretty firm on safe behaviour (do not bite the iron cord! ), manners, doing as he is asked and being polite. If I ask him to do something, I am clear with him and don’t pad out the request. If it looks like we’re heading for a meltdown I distract him with something else. It seems to be working… but who knows. I won’t lie, it has not been easy up until recently to have much of a “night-time” social life. Prior to this I tended to just go with what was possible. I had simple needs for a long time – adult conversation was enough! My mothers’ group friends have been a blessing, we were very good at catching up regularly and they’re all beautiful hosts! My core girlfriends were very good at keeping in touch and making time. My parents live about 700 metres away from us, so it’s very easy to see them and a great distraction for both Ryan and I after a long day together. When I drop him at daycare and watch this little outgoing guy waltz in, smiling and waving to his carer and other kids, I think to myself I’ve done all right with him so far. When we ended up in emergency after he fell off the bed. I literally turned away for a second and he flipped off the bed on to the wooden floor. He really bruised himself and was so sad and sore. I felt so, so terrible, I think I cried more than him. I know I did things but I can’t remember. I have forgotten very good friends’ names mid-conversation since having Ryan, which is embarrassing but covered up quickly with a joke. Never-ending patience or super toddler negotiating skills – both would come in very handy. That I have coped AND enjoyed it as a sole parent. I think I have been blessed with a great little guy. Ryan loves being out in the garden, so we tend to just potter around outside when we are home. We swim at Kingscliff creek in summer and walk when we can along the beachfront when time permits. If the weather is no good we read, or make things with blocks. He loves books so is easily entertained with a story. What’s the one thing in your nappy bag you wouldn’t be without? Nappy wipes. Such a versatile thing. Similar on some levels. I tend to be a bit more relaxed on some things. I let him find his way with things a bit more than my parents did with me. I think because of my situation with melanoma I’m more inclined to be a bit softer with my son, I just want us to enjoy our relationship. I hammer home how much I love him – which I’m sure in time he will find quite annoying, but I think it’s such a strong foundation to know you are so loved. I’m hoping it makes him feel like he can do anything. My mum, my aunts and my girlfriends. I’m very lucky to have such a great network of support and friendship. I get quite emotional when I think of how wonderful these women have been since the last round of diagnosis and treatment with melanoma. I had people cooking for us, buying groceries, visiting to keep me company when I couldn’t do much post-op, caring for Ryan and generally just reassuring me that this is not a solo experience. The company I work has been amazing as well. I am very, very lucky.